Your Pokemon just got whacked by a spinny thing. You are getting attacked by giant vehicles. Comments : The Green Ninja (a.k.a. 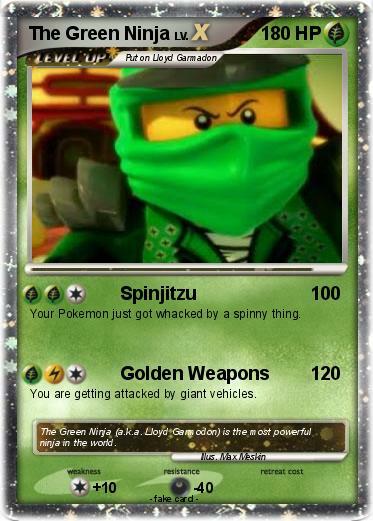 Lloyd Garmodon) is the most powerful ninja in the world.